Established in 2015, the UAE Gender Balance Council is responsible for developing and implementing the country’s “gender balance” agenda. The federal entity's primary objectives include reducing the country’s gender gap, empowering women and men across all sectors, and increasing the UAE’s global competitiveness on gender equality indices. During our class visit to Gender Balance Council, students had the opportunity to speak with H.E. Shamsa Saleh, Secretary-General of the UAE Gender Balance Council and CEO of Dubai Women Establishment. Saleh offered a unique insight into some of the council’s ongoing projects, including the Gender Balance Guide. The guide, which aims to promote gender equality in the workplace, was just one example of the current policy work that targets working women in the UAE. 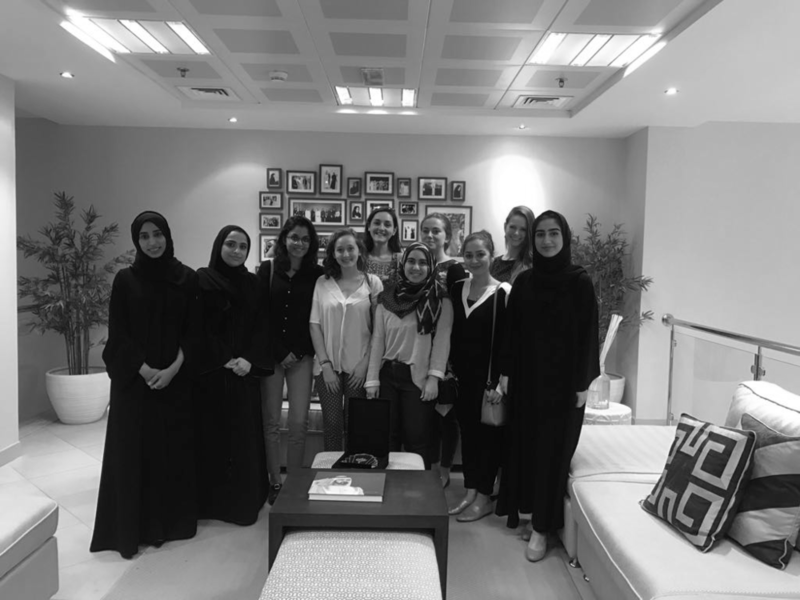 The class trip allowed students to see first-hand how the UAE is addressing issues of gender equality through policy and shed light on the complex challenges involved in policy formation and implementation. Students gained insight into government negotiations with international institutions and corporations and were exposed firsthand to the ways in which women’s employment features in modernity projects and discourses. The visit provided texture to students' understanding of policy documents and processes and the entanglement of local, regional, and global circuits of ideas and representations.